crockla's body starts to feel tingly as they turn into a Camouflage Krawk! I haven't gone on hiatus or anything, although my lack of updates may make it look like that. 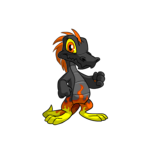 I've just been having terrible luck with the lab, so no one is ready to be adopted out yet. Lupeytar has gone to his new home! Also, updates have been cleared for the new year. Do you want to apply for a pet? (1) Only neomail my main account, Comet55525. The pet will be on one of my sides, and I like to keep everything organized and easy to find. (2) If chosen, please have a transfer spot open. I don't want to risk going though the pound. (3) You must have the questionnaire (found below) included somewhere in your application. (4) Neomail and petpage applications are both fine with me, as long as you have the questionnaire include. If you wish to make a neomail application and just slap it on a blank petpage, that's fine as well. (5) If you don't want your username posted on this page, please provide another name for me to call you. If I am chosen, I, (your name) , pledge to be the best owner I can be for my new Neopet, (pet's name) . I understand all the sadness that (he/she) has already been through, and so I will provide everything (he/she) needs to be happy. 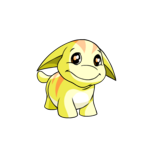 I promise to be a friend to my new Neopet and never ever ever put (him/her) through the pain of neglect or abandonment again. (7) If you choose to make a petpage application, please add a disclaimer stating that I didn't force you to do so. (10) Your account must be over 4 months old. This is one of Neo's rules for painted and LE pets. (I) Which pet are you looking to adopt? (II) What are all of your accounts? (III) Which account would the pet be living on? (IV) Have any of your accounts ever been frozen or received a warning? If so, why? (V) What do you plan to do with the pet? Role-playing, BC, customization, art, stories, ect. (VI) What are your views on pet trading? (VII) Pick a pet that will be an example for how you will treat my foster and tell me a bit about that pet. (VIII) Why do you feel that you are the best owner for my pet? Is it okay for our application to be solely the questionnaire? Of course! I don't require a long, drawn out application process. The answers to those questions are all I need. Can I add more art/writing/content after I turn my application in? You can add anything you want between now and the deadline. Only things added after the deadline will be ignored, since I will probably already have the new owner picked. Theoretically, you can do whatever you want if you adopt the pet. However, please tell me that in you plans. No. NO. Absolutely NO. Do not apply for one of my pets if you even have the slightest plan of trading him/her away again. I am looking to find a forever home, and I will be very unhappy if I find pets being traded left and right. Definitely! I use premades and skeletons for all of my layouts, personally, and I understand that not everyone is able to code. Can I reuse art/stories/characters/part of old applications? Real life suddenly came up and I don't think I can get my application finished before the deadline! ***Lutari cannot be pounded or transferred.